This is the work with which the author (then 26) made his debut in 1939 at a musical festival in Kraków. The style of the work is, maybe, far from being definitively crystallised and yet on the basis of the Symphonic Variations one might speak of the artistic maturity of its then young author, principally thanks to the richly developed orchestral palette as well as the compact and balanced structure. 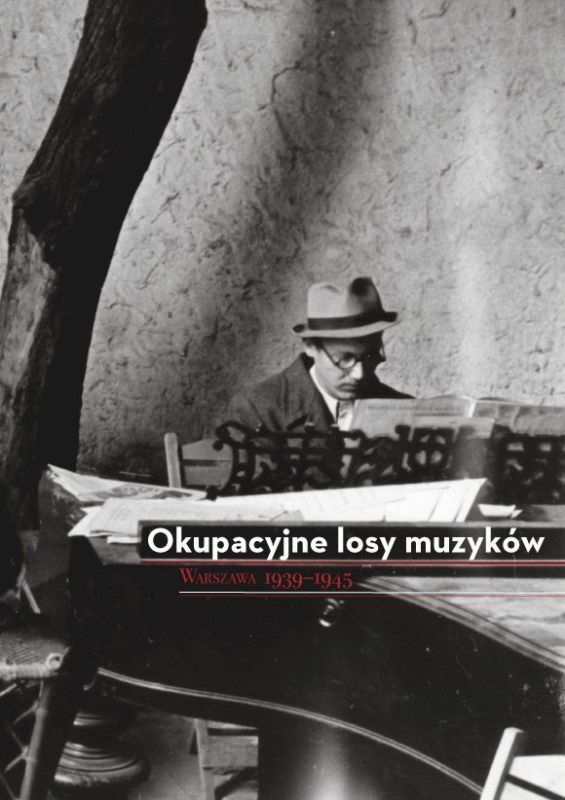 Są utworem, którym autor (wówczas dwudziestosześcioletni) zadebiutował w 1939 roku na festiwalu muzycznym w Krakowie. Styl utworu jest, być może, daleki od ostatecznego skrystalizowania i jeśli na podstawie Wariacji symfonicznych można by mimo to mówic o dojrzałości artystycznej ich młodego wówczas autora, to przede wszystkim dzięki bogato rozwiniętej palecie orkiestrowej oraz zwartej i zrównoważonej architekturze. Today is also the anniversary of the partial premiere of the Second Symphony, whose second movement ‘Direct’ was performed on 15 October 1966, in Hamburg, with the Sinfonie Orchester des Norddeutschen Rundfunks conducted by Pierre Boulez. For Lutosławski, Boulez’s conducting on this occasion was not entirely satisfactory (WL100/31: Notebook, 9 April 1969), but I have never fully understood Boulez’s subsequent lack of interest in Lutosławski’s music. Yesterday, I wrote a CD note for the piano and orchestra version (1978) of Lutosławski’s tour-de-force for two pianos, Variations on a Theme of Paganini (1941). It took me back over twenty years to when I conducted this version with the composer Kevin Volans at the piano and the Queen’s University SO in Belfast. We had enormous fun, especially with the syncopations, and the one slow variation, no.5, was magical in its simplicity. We especially liked kicking in with the funky rhythms of variation 9. What makes the orchestral version so rewarding is that Lutosławski repeats all but variations 10 and 11, swapping the solo and orchestral material for the repeat. (In fact, Paganini repeated the last 8 bars of each variation as well as the first 4, so Lutosławski’s orchestral version comes closer in its proportions to Paganini’s.) This way, he was able to give himself space to show off his scintillating orchestration and make this version a real match for the original. It set me thinking about the circumstances in which Lutosławski composed his Variations. Musical life was heavily circumscribed in Nazi-occupied Poland. To scrape a living, Lutosławski and his fellow composer and pianist Andrzej Panufnik, then in their mid-late 20s, formed a piano duo and played in musical cafés. The Poles have always been resilient, and in the darkest days of the Second World War anything that lightened the mood and distracted people from their grim circumstances was welcomed. These cafés promoted all sorts of music, from complete cycles of the Beethoven sonatas to popular song and the light-music arrangements made by Lutosławski and Panufnik. They made over 200 such arrangements, but all were destroyed in the Warsaw Uprising of 1944. Lutosławski luckily took the score of the Variations on a Theme of Paganini with him when he fled the city. It whets the appetite for what we might have enjoyed had their arrangements survived and it’s a testament to the brilliance of their pianism. A further thought on the aptness of Lutosławski’s take on Paganini’s Caprice no.24 for solo violin. Unlike Brahms, Rachmaninov and others, Lutosławski sticks close to the structure and material of Paganini’s original. In that sense it veers more towards being a modern realisation than a new composition. But he brings such imagination, joy and panache to the task, adding textures, counterpoints and edgy harmonies. It seems to me that, of all those composers who’ve been fascinated by Paganini’s theme and the virtuosity of this caprice, Lutosławski has come closest to its pyrotechnical spirit and yet made it his own. I’m sharing a live recording (26 July) from this year’s Verbier Festival, where the pianists were Evgeny Kissin (I) and Martha Argerich (II). I was astonished to realise that Argerich is the same age as the Variations. Where other pianists sometimes push the tempos beyond their technique and mush the rhythms, the performance of Kissin and Argerich is crystal clear, glittering, with only a rushed cadence at the very end to mar a thrilling 5’. The original uploader has provided the printed music, expertly synced, for those who want to see as well as hear what a technically challenging piece this is! You can also watch the performance on <http://www.medici.tv/#!/verbier-festival-celebrates-2011>.